The soft ear bone fit snugly on your ears for noise cancelling in loud background environment. It solve these problems that other earpiece CANNOT; when you are moving in the WIND it do work well. Perfectly clear and you are just as clearly understood on the other end. Long wire durable cable can be used for long time, and it's great for some special outdoor activities, such as hiking; running; riding; hunting etc. 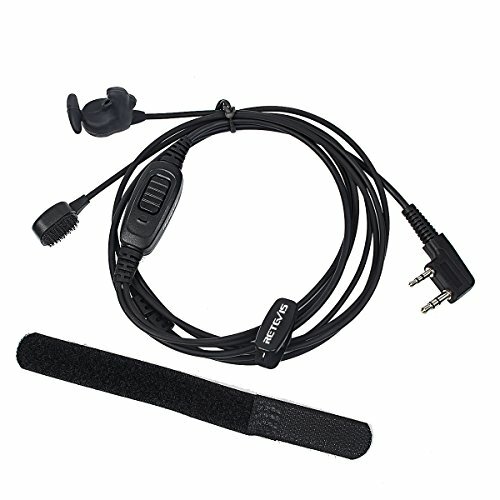 Without a separate microphone, you are not easy to be detected by people; Ideal for surveillance purposes and security at airports, casinos, crowd control at conventions and concerts, and other working environment requiring discreet communications.